Expect creditors to perform an annual credit report background check before they make a decision to lend you money. Yet, there are other companies and potential employers that look at your credit file, as well. A good credit history can make all the difference. When you apply for a job, some prospective employers order your annual credit report to review your history before deciding if they should hire you. This is the case even if that information is not necessarily directly related to the job you are seeking. How do they use this information? For one thing, your credit file can help verify the accuracy of information you provided on your application, including former employers and previous addresses. Secondly, your credit report gives prospective employers a picture of your overall reliability and level of responsibility. If you consistently make your payments on time and have no formal actions in your file, hiring managers may infer that you will likely be a trustworthy, reliable and responsible employee. Your current employers may also look periodically at your credit information for the same reasons noted above. They may make promotion or transfer decisions based on what they read on your annual credit report. Once you authorized your employers to do a credit background check at the time of hiring, they do not need to seek your explicit permission every time they want to do it, even after you are hired. Every landlord wants a tenant who is trustworthy, takes good care of the rental property, and pays the lease on time. This explains why landlords do credit report background checks on their prospective tenants, before deciding to lease property to them. 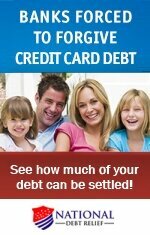 What information is of most interest to them in your credit file? Landlords look at your payment history, outstanding debt, collections and bankruptcies, if any. They use this information, in conjunction with your income details, to determine if you can afford your rent and are reliable and stable enough to pay it regularly, and on time. Just like prospective employers, landlords use your credit reporting to verify the accuracy of details you furnished in your rental application. Additionally, they may gauge how frequently you tend to switch your jobs or residences. Most insurance companies that write homeowner, liability, and auto policies do credit checks before deciding on your premium and eligibility. In addition to confirming the accuracy of the data you provide, they, too, look at payment history, debt and collections to ascertain if you will likely pay premiums on time. In addition, a good credit history suggests the possibility of lower-than-average claims filings. It all goes back to evidence of a pattern of responsibility. Utility companies typically do a credit check to determine the amount of (refundable) deposit they should charge you, prior to opening your account. The better your credit the lower your deposit. No company can check your credit history unless you provide written consent for the credit report background check. 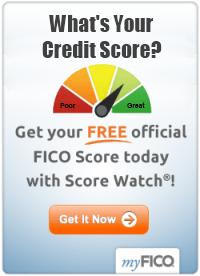 Typically, the credit data for these type of inquiries does not include a credit score. Any expired or outdated information will not appear on your annual report. This includes bankruptcies after 10 years or settlements after 7 years. These informational-based inquiries do not affect your credit score. And if a prospective employer or landlord denies your application on credit grounds, you have a right under the Fair Credit Reporting Act to receive a free copy of your credit report to review the information.